One of the many blessings of digital photography is the ability to make super-sharp images with an extended depth of field. 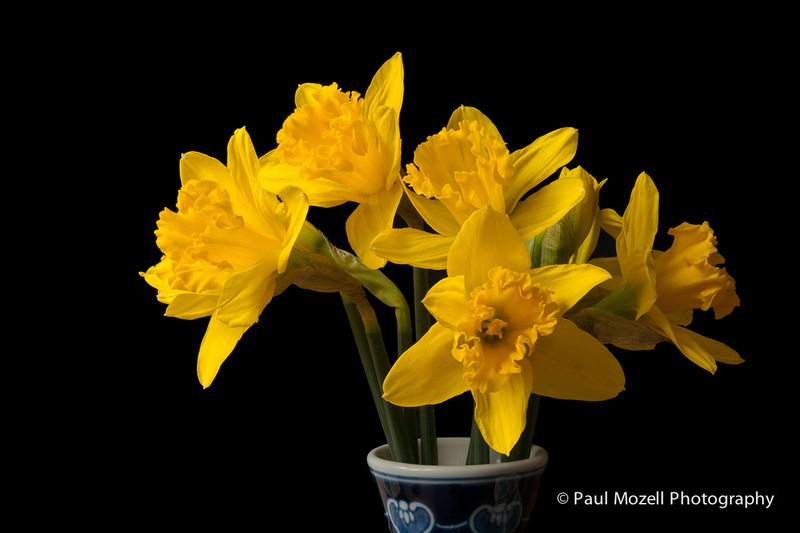 In this still-life of a vase of fresh daffodils sitting on my dining room table, my goal was to make the image sharp from front to back; something that could not be achieved with one shutter click. The process is known as focus stacking, or image stacking and is derived from methods used in scientific, medical, and industrial photography. Set up your shot. A tripod is a must, as is a static composition overall. Use an f-stop that is one, two, or three stops bigger than the minimum setting for your lens. Although lenses have the greatest depth-of-field at their minimum aperture, the smallest opening may introduce sharpness issues. If your camera has a live view function turn it on, increase the magnification a few times, and focus on the nearest object in the scene. Do the same thing for a 3rd shot, this time focusing on the farthest element. 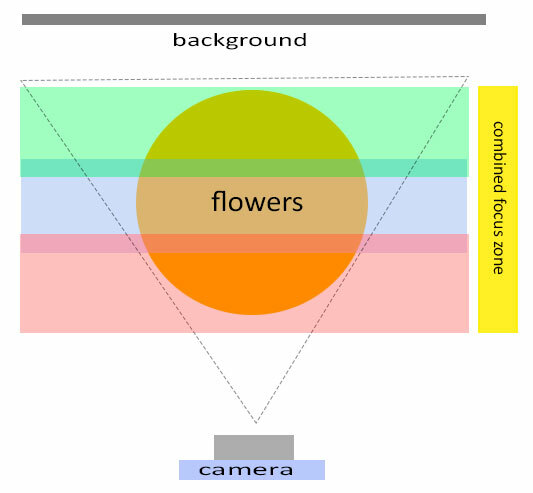 Keep in mind that you can easily plan to shoot many more than three frames because the number of variables is infinite, including lens to subject distance, focal length, and even computer processing power. Colored bands represent overlapping focus zones. Yellow band is the resulting zone of sharp focus. 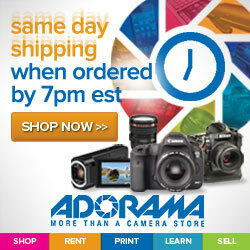 From Adobe Bridge or Adobe Lightroom, open the three files as layers within one Photoshop document. Select Edit –> Auto-Align Layers –> Projection: Auto. This step ensures that all the layers are perfectly lined up, compensating for any camera or lens movement. You are done! Notice that PS has added layer masks to each layer. Turn each layer off and on to dissect what Photoshop has done. You may merge all the layers at this point to reduce file size. For more advanced control of the focus stacking procedure check out the plugin, Helicon Focus.